Providing meaningful amounts of Iron, Vitamin C and Copper. 60 x One-a-day vegetable capsules. 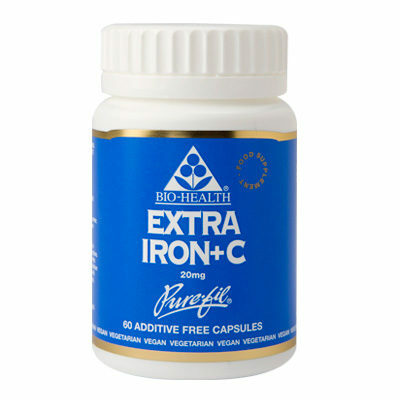 Iron’s main function as an essential trace element is a constituent of haemoglobin and sited predominantly in the spleen, liver and bone marrow. Haemoglobin carries oxygen round the body to the cells where it releases energy from food. Iron is especially necessary for growth and development during childhood. This formulation has been formulated to make it easily absorbed to give full use of ingredients.